Few things bring up the notion of settlers out west more than the idea of felling a tree by hand with an axe. While this is a romantic notion to many, it is no small task to fell a tree simply using a hand tool. Once again, having the right tool for your needs can save you hours of work and a ton of effort. For those looking for the best felling axe, you’ve come to the right place. While there’s a lot consider, we’re here to make this process an easy one. First, we’ll walk you through everything you need to consider when buying a felling axe and then we’ll show you our top picks. Anyone who shopped around knows that there are many, many different kinds of axes available. While they all may seem similar at first glance, it’s very important to understand the differences and to understand how each axe is tailored for its specific job. While they are useful, splitting axes and mauls have a very different purpose and therefore look very different upon closer inspection. While a fairly obvious point, the purpose of a felling axe is to fell a tree through many chops. Therefore a narrower blade is used, as this allows the axe to cut across the grain and “bite” into the tree more effectively. Whereas a splitting axe or maul utilizes a wedge shape (think a slice of pizza) to effectively split a log down the grain. As mentioned above, you’re looking for an axe head that can bite into the wood while striking across the grain. Therefore you want a thin head that has a narrow blade profile. This narrow blade profile also helps prevent the ax head from getting stuck in the tree and allows you to work faster. While axes that have more of a wedge shape may have some use when felling trees, they are not nearly as effective for this task. While the length of your felling axe is partly up to personal preference, there are a few practical matters to consider first. While it is true that a longer handle will allow for more power, it also may lead to accuracy issues for less experienced users. Longer handles may also help a little with safety as they keep the axe head further away from you. Though you’ll find a wide range of lengths when looking at felling axes, we recommend looking for a minimum axe length of at least 25 inches. Our personal preference is to look in the range of 28-31 inches, as felling axes in this range offer the most versatility and can be used in a wide variety of applications. Stronger and more experienced users may want the additional oomph that comes from a longer axe, and they would be well served by looking at axes up to 36″ long. As expected, the weight for your felling axe does involve a certain amount of personal preference, but there are a few things to consider first. While a heavier axe does mean more force delivered to the tree at contact, it will take more effort to swing thereby tiring you out faster. Your goal is to find the right balance of weight and power for you, as felling a tree with an axe is not as easy as Paul Bunyan made it look. It’s also very important to consider how you will be using your axe. If you anticipate using it in bush situations, it might be a good choice to opt for a more compact axe, as it will travel better. If you mostly will be felling trees on and around your property, you can opt for a heavier axe that will likely make the job easier. Even though the axe handle material is mostly a matter a personal preference, there are few practical matters to initially consider. As anyone knows, wood, typically hickory, is the classic material as it is relatively strong and easily replaceable (it can even be replaced in the field! How awesome is that?). While it is replaceable, it is also more prone to breaking in the event of a mishit. A modern material such as a composite fiberglass can also be a great choice. Generally speaking, these modern handles are usually more durable and are more lightweight than their wood counterparts. A great benefit is that these composite handles usually allow for more weight to be distributed to the axe head, which may allow for more force at impact. Though they are impressive and have a lot to offer, these modern handles are usually much more difficult to replace. How will you use your felling axe? As mentioned above, it’s important to ask yourself how you will be using your felling axe. Nobody wants to lug around a mammoth 36″ felling axe in the bush, no matter how cool it looks (and it does look cool). On the other hand, it’s a bit silly to go with a compact 25″ axe if you anticipate that you’ll mostly be felling trees on your property. The lesson here is to carefully consider how you expect to use your felling axe in order to get the best fit for your needs. Hand crafted in the United States by Council Tools, this Velvicut 36″ American Felling Axe is a labor of love that features top quality craftsmanship. The head uses 5160 grade alloy steel that provides the additional durability and strength needed to maintain a consistent edge. Without a doubt this is a top notch full-sized felling axe that can be passed down for generations. While it is true that this axe is heavier than most, it is not excessively so. Due to the long handle and the axe’s great ability to hold an edge, this would be a great choice for those who regularly expect to fell trees. Though heavy, this axe is well balanced and results in efficient swings that take big chunks out of trees. This would be an excellent choice for stronger users who have experience in felling trees. Having handcrafted beautiful axes in Sweden since 1697, you can trust that Hults Bruk knows a thing or two about what makes a quality felling axe. Their Torneo Compact Felling Axe utilizes a classic design that packs a ton of punch on a pound for pound basis. 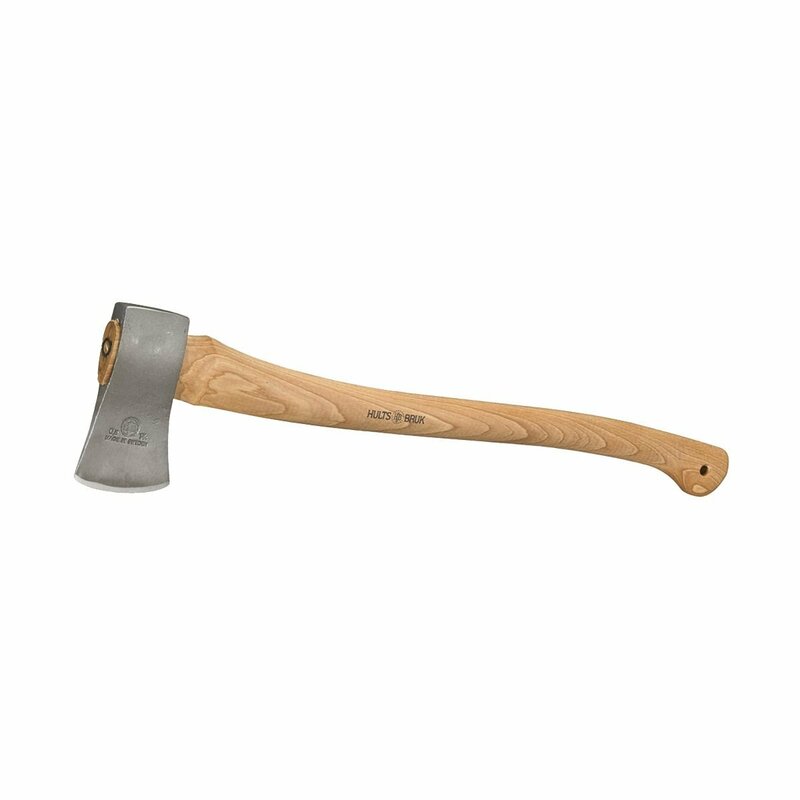 Featuring a hand forged head made from durable Swedish steel, this axe is designed to maintain a very sharp edge throughout use. Overall, this axe is very beautifully crafted and is designed to last decades with proper care. As it is compact, this axe is ideal for felling small and medium sized trees. As it has a lightweight and compact build, this axe would be a great choice for backpacking or other adventures out in the bush. Featuring a great blend of performance and value for your money, this felling axe would be an excellence choice for users with lighter builds or those just getting started out. 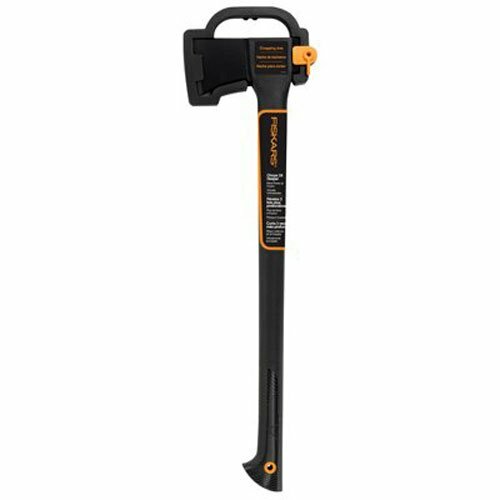 Another truly modern design from Fiskars, this 28″ Chopping Axe packs a serious punch for its weight. A hollow handle made from composite fiberglass provides additional durability and helps shift some weight to the axe head for additional force at impact. The hardened steel head is designed to stay sharp swing after swing. Best of all, this felling axe is great value for the money. 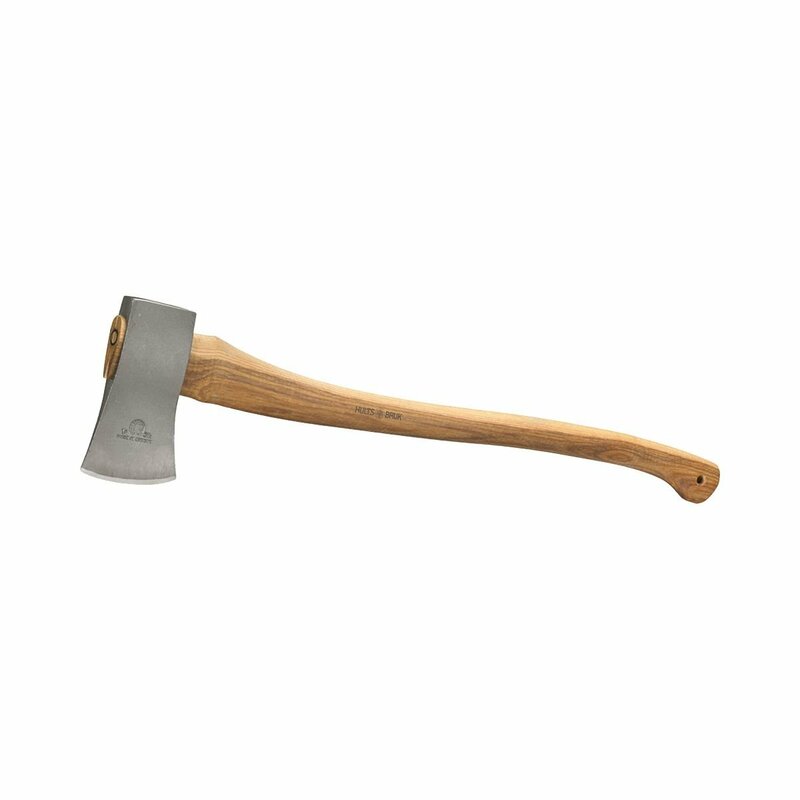 Being such an affordable option and providing such great value, this felling axe would make a great choice for those first starting out who may not want to invest so much right away. The 28″ handle means this axe is just big enough to fell most trees while also being compact enough to take camping. The added durability for the handle is another reason why this would be a great choice for those new to axes. Featuring top of the line German craftsmanship from the team at Helko Werk, this 31″ Classic Forester Felling Axe is built from top quality materials and looks great. The 3.5 lb axe head uses high grade carbon steel designed to maintain a sharp edge. A beautiful hickory handle is optimized to provide both great comfort and balance during a swing. Due to the quality craftsmanship and top of the line performance, this is a great choice for those who are looking for a serious tool that can be passed down. A high price point means that this axe might be a bit too expensive for those less experienced or just getting into axemanship. While the axe may be a bit too heavy for backpacking or camping, it is an ideal size for felling a wide variety of trees on your property. Another great Swedish axe from Hults Bruk, this 32″ Atran Felling Axe is handcrafted with top quality materials. The 3.5 lb axe head is constructed from Swedish steel that is struck mutlple times in order to increase durability and maintain a very sharp edge. The top notch construction means this axe is built to look great through years and years of use. 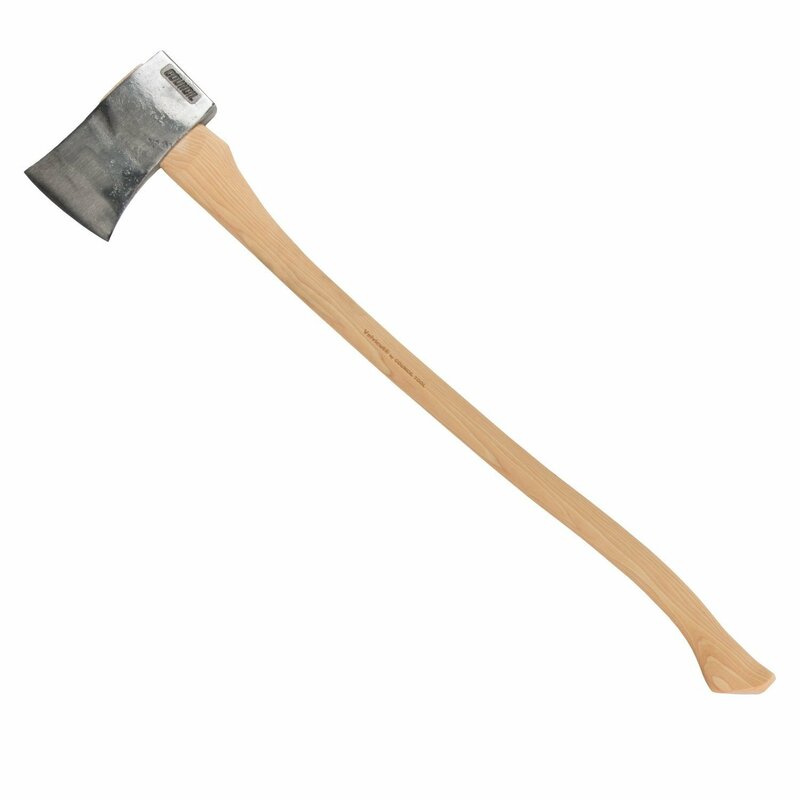 Due to the axe head weight and the length of the handle, this axe is capable of felling both small and large sized trees. The 32″ handle is long enough to generate additional power at impact but isn’t too long, making this axe a great choice for a wide variety of users. 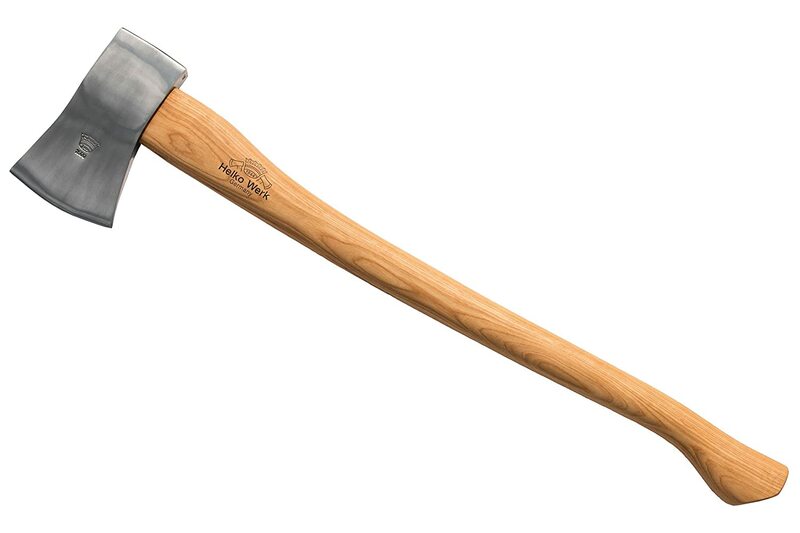 While not necessarily the best axe for adventures in the bush, this axe would be a great choice for those who expect to regularily have to fell trees on their property. While it was a close call, the winner of this comparison is the 32″ Atran Felling Axe from Hults Bruk. While there were a bunch of really nice felling axes in our post (we’re looking at you, Fiskars), we felt that the Atran axe offtered the best blend of performance and affordability. As much as we all love the idea of a big honkin’ 36″ felling axe, the reality is that they are a little to big for most users. At 32″ long and with a total weight of 5 lb, the Atran felling axe isn’t too large yet it is capable of felling most trees. While a bit more of an investment than some of the other axes, this axe is still relatively affordable and is true beauty.